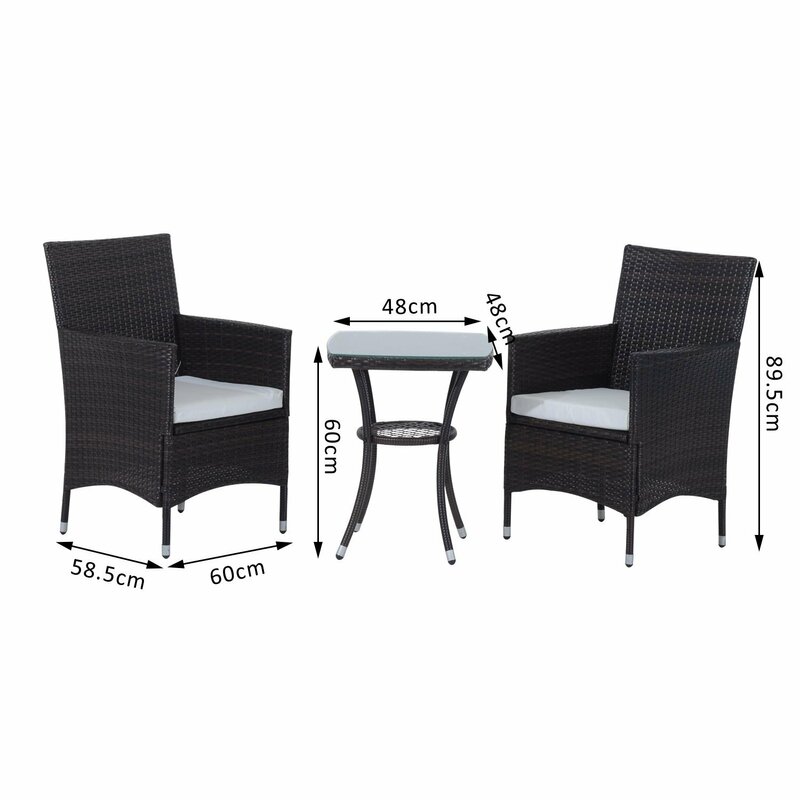 This Rattan Bistro Set, including 2 chairs and a matching table, is perfect for dining or drinking in the fresh air. This set offers total flexibility and can be easily moved to suit any occasion. • Used PE material is Eco-friendly.